PORTLAND – Shirley Burnell Alling, 93, died peacefully after a brief illness on Friday, Dec. 23, 2016 at the Gosnell Memorial Hospice House. Shirley was born January 21, 1923 in Cumberland Center, ME. Shirley spent time in her youth on her family farm on Main St. She helped out with the farm and she enjoyed her annual family reunions. She attended Greely High School and graduated in the class of 1940 as the Valedictorian, and went on to attend Westbrook College graduating in 1942. 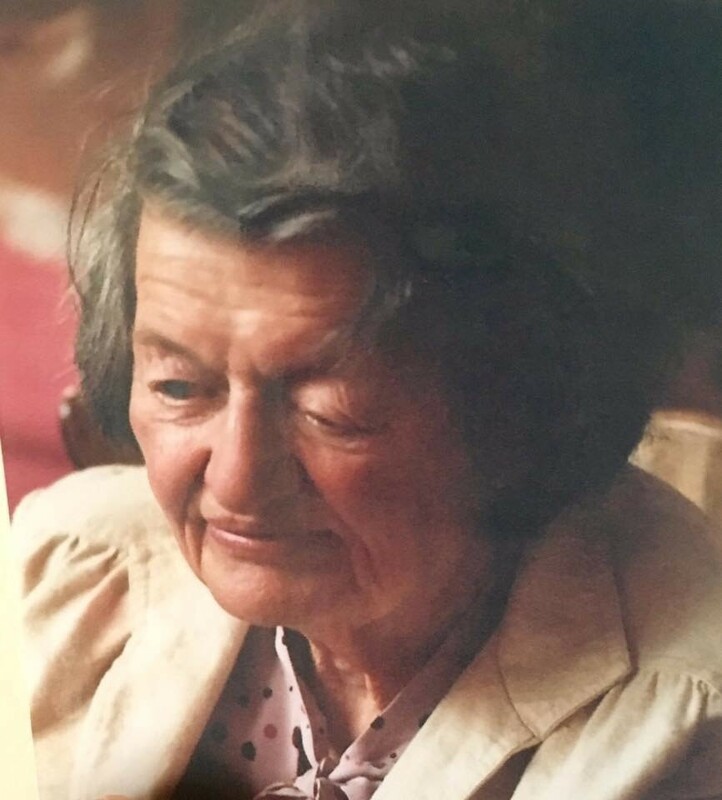 She held several secretarial positions throughout her career starting with Portland Transmission in 1955 and she retired from her position as a Legal Secretary from Drummond & Drummond in 1997. She enjoyed spending time with her adored family, gardening, bird watching, and catching up on her reading. Even as a child, she could identify most any bird simply by hearing their song. She was a member of the Stevens Avenue Congregational Church, and donated to several organizations. Shirley will be remembered for her love of family, strength and subtle stubbornness. She was a very intelligent woman and made sure everyone was always doing just what they should. Shirley was the best daughter, sister, mother, grandmother, and friend anyone could ever ask for. Her kindness and personality helped to carry her through life with grace and spirit. Just talking to her would brighten your day, and she could always make you laugh at the most unassuming time. Shirley was predeceased by her husband, Edwin N. Alling of Portland, her parents Perry Burnell and Lula Doughty Burnell of Cumberland Center, and her brother Norman Burnell also of Cumberland Center. She is survived by her two children, Andrew N. Alling of North Hero, VT and Karen J. Alling of Portland, ME; her three grandchildren, Erik N. Alling and his wife Courtney of Colchester, VT; Jesse A. Alling and his wife Alison of Seven Hills, Ohio, Alysha C. Alling of Portland, ME and her close cousin Claire Doughty Vining of Cumberland, ME. Her first great granddaughter is expected to arrive in March, 2017. A memorial service will be scheduled in the Spring of 2017.